There is no lack of sweetness with this honeycomb design. Our cute little bees have been hard at work just for you. 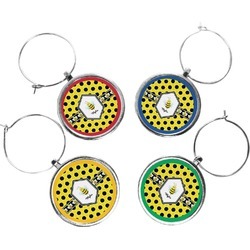 The traditional yellow, black and white bumble bee colors have been used to form the honeycomb pattern. A wide white trimmed black ribbon is the background for a conga line of bees. 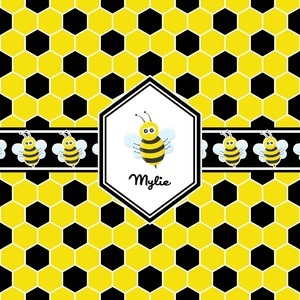 A white decorative label that is trimmed in double rows of black will provide the focal point for your little bumble bee and his or her name.